A STORY goes that while a Malaysian traveller in China was rummaging in his wallet to retrieve his credit card to pay for his hotel bill, the hotelier chanced upon the ringgit notes in his wallet. The hotelier was so taken up by the sight of physical cash that he wanted to feel a note and even keep it as a souvenir. That about sums up the extent China has progressed towards a cashless society. Prime Minister Tun Dr Mahathir Mohamad envisages such a society for Malaysia. A cashless society sits well with the government’s anti-corruption agenda. It considers that digital payments would make corrupt practices difficult. A national cryptocurrency, or digital cash, may help the government achieve these twin aims. Since their introduction in 2009, privately-managed cryptocurrencies have gained prominence that over 1,300 varieties exist. Soon the “Harapan Coin” – Pakatan Harapan’s version of cryptocurrency for political fundraising — may join the smorgasbord. Such is the awareness of virtual currencies that a couple in Bengaluru, India, requested their wedding gifts to be in Bitcoin — the first and biggest cryptocurrency! We also hear of a Kelantanese kerabu stall and some noodle shops in Puchong accepting Bitcoins as a form of payment. As they cut out banks, cryptocurrency makes for cheaper and quicker transactions. The blockchain technology that buttresses cryptocurrency maintains the integrity of payments. An electronic spreadsheet of sorts, the blockchain is a shared digital ledger which records, and updates frequently, transactions simultaneously in a main register and their registers across a global network of computers. Accessible with a password, blockchains ensure secure transactions. Although they are almost as good as conventional currencies, cryptocurrencies suffer setbacks that dim their prospects of replacing their conventional counterpart. Unlike conventional currencies that have reference points, such as gross domestic product growth to assess their value, cryptocurrencies have no such physical ties. They do not have intrinsic value beyond that determined by their owners. Cryptocurrencies operate in a legally grey area without any economic oversight and support of national governments. The secrecy enveloping them makes cryptocurrency regimes a fair game for money launderers, terrorists and fraudsters. Indeed, the bulk of cryptocurrencies were scams to start with. Given excessive price volatility, trading in them is so risky as to force users to hedge against any erosion of their savings. The price gyrations also make their financial systems inherently unstable. And if a user loses his password, he will be locked out of his assets forever. While the decentralised blockchain ensures security, that is not so with centralised digital exchanges. These are highly vulnerable to cyber-attacks. Despite these serious shortcomings, cryptocurrencies cannot be dismissed outright. Apart from enabling instant, cheap and secure transactions, an endearing feature of cryptocurrencies is their underpinning blockchain technology. So much so, China wants to be a leader in it. Additionally, the IMF considers blockchain as having the potential to deepen financial inclusion. There are two ways to overcome the serious inadequacies of cryptocurrencies. First is by regulation. A number of countries including China have banned them. The United Kingdom and the United States have tightened regulations to prevent illicit capital flows and fundraising. The US, for example, has created a cyber unit to tackle wrongdoings in digital currencies. Its states are increasingly aggressive in their regulatory oversight. Japan has placed digital exchanges under closer scrutiny. 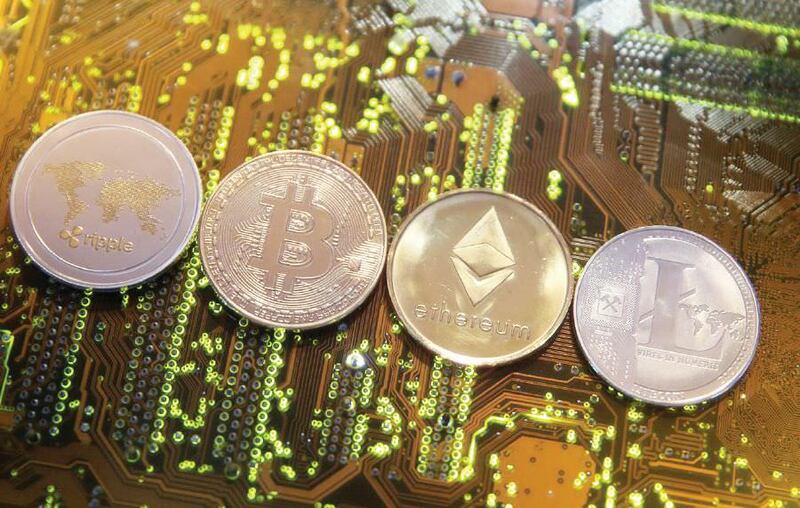 And Australia, Canada and Europe are mulling tougher rules to make virtual-currency transactions more transparent. Bank Negara Malaysia, too, has joined the bandwagon. It imposes reporting requirements on digital exchanges under the Anti-Money Laundering, Anti-Terrorism Financing and Proceeds of Unlawful Activities Act 2001. The second method is for governments to introduce a central-bank-managed national cryptocurrency or NC. Central banks in Uruguay, Canada, Sweden and China are actively working on a centrally-managed cryptocurrency to which the IMF has lent support. An NC will have all the beneficial features of a cryptocurrency without its risks. Moreover, NC transactions can offer a level of secrecy that the current system of operating bank accounts cannot provide. Third parties, such as insurers, can track such transactions to ramp up charges according to transaction data. There are three scenarios on how NCs will pan out. One, the public opens NC accounts at the central bank which then processes their transactions. This arrangement would displace commercial banks, digital payment services such as Alipay and PayPal, and privately-managed cryptocurrencies, and in one fell swoop, also eliminate the many ills — credit bubbles, risky lending, money laundering — of the conventional banking system. However, the financial system may seize up for want of liquidity as banks create money by lending more than what they hold in deposits. To alleviate this negative impact, banks can focus on long-term financing — borrowing and lending long-term. They can also offer the public other innovative financial products. The second scenario extends the first one. Here, central banks loan their NC deposits to commercial banks. Excepting the risk of central-bank interference, such loans would then enable commercial banks to undertake their normal intermediation. Christine Lagarde, IMF’s managing director, has offered a brilliant compromise. The public could still hold regular deposits with their banks but inter-bank settlements would be made through the central bank in the NC. This is similar to current banking practices except that back-end settlements will be done in an instant. Whatever the business model, the direction is clear. A cashless society and a stable financial system belong to a government-owned cryptocurrency. It is good to see that Malaysia is up there with advanced technology. Our current leaders are really trying to bring in new things that could benefit citizens. At least governments are slowly putting these ideas into practice. "The second method is for governments to introduce a central-bank-managed national cryptocurrency or NC." Some are already working their way towards this goal.